The NSW Environmental Trust and the NSW EPA are calling for applications to Major Resource Recovery Infrastructure program. 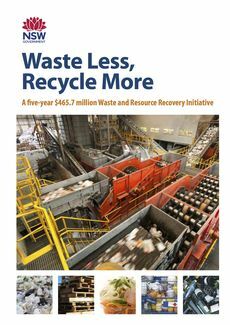 The $43 million Major Resource Recovery program includes grants of between $1 million and $10 million for waste and is open to councils and businesses that process waste from the-levy paying areas, to construct new facilities that can process recyclables from household and business waste. The Organics Infrastructure program includes grants of between $25,000 and $5 million for large infrastructure projects to sort and process organics waste, through to smaller council-run initiatives such as compost bins and worm farms. Applications are now open and close on Friday, 7 March 2014. Check out all current NSW Waste Less, Recycle More funding grants.